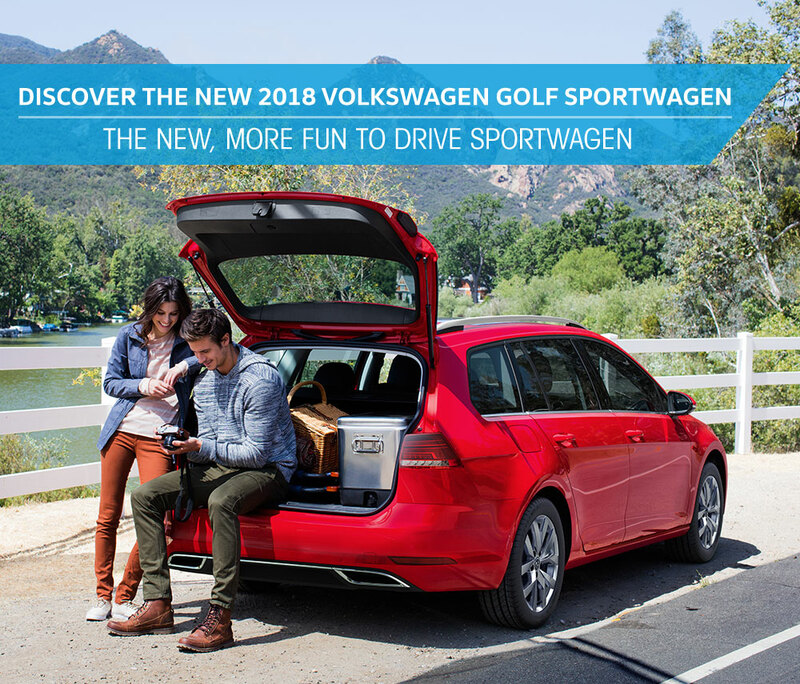 Drive the new 2018 Volkswagen Golf SportWagen and discover all the fun you've been missing today at Southern Greenbrier Volkswagen, your preferred dealer for fun-to-drive Volkswagen models! Why settle for any old compact four-door when you can drive the new 2018 Volkswagen Golf SportWagen from Southern Greenbrier Volkswagen? It's the ultimate fun-to-drive compact that gives you all of the smart features you want in a sportscar without the added fluff. Pick your favorite today from four available trims including the S, S with 4 Motion, SE, and SEL. The new 2018 SportWagen comes equipped with a 1.8 L Turbo 4-cylinder that can deliver up to 170 HP and up to 184 lb.-ft. torque at 1600 rpm on all four models. However, adding the available automatic transmission to either model gives the SportWagen the ability to produce up to 199 lb-ft. torque at 1600 rpm. Fuel-efficiency in the SportWagen is also an impressive feature, especially on the highways of Virginia. The S trim is capable of up to an EPA-estimated 34 MPG highway and the higher-end SEL differs only slightly, with up to 33 MPG highway. Plus, with 66.5 cu.ft. of cargo space, you can take everything along! The new 2018 Volkswagen SportWagen has a host of standard and available safety technologies that will keep you safe wherever your next adventure takes you. Advanced tech like adaptive cruise control can help you keep a preset distance from the car in front of you and, when activated, will even use sensors to slow down and speed up to mirror the car in front. Get A Lifetime Of Benefits, At No Extra Cost! Why buy your new SportWagen anywhere else when Southern gives you all of these great benefits at no extra cost? Stop by Southern Volkswagen Greenbrier today and see how much you can save over the lifetime of your new 2018 SportWagen purchase with these exclusive benefits, all at no additional cost! Visit Southern Greenbrier Volkswagen today to test drive your new 2018 SportWagen! We offer an extensive selection of new SportWagen models with different trim levels available to make your shopping experience even easier. Stop by today and experience just how easy it is to save behind the wheel at Southern Greenbrier Volkswagen.